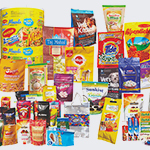 Flex Films || BOPET Films - The Perfect Solution for Flexible Packaging Converters! We manufacture a wide range of Biaxially Oriented Polyethylene Terephthalate (BOPET) Films under the brand name FLEXPETTM. 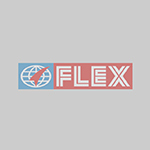 Our cumulative production capacity of FLEXPETTM films across the six manufacturing locations globally is 256,000 TPA (564 million lbs per annum). FLEXPETTM films are available in thickness range 6.5 - 75 microns. These films are available in Plain, Surface Treated, Chemically Coated, Matte, Heat Sealable, Metallizable, Green, Clear, Extra Clear varieties among several others. Properties: Excellent clarit.The film is available in two types, Viz.,1.Plain (both side untreated (UT)) 2.One side Corona treated film (CT), Corona treatment is available inside or outside of the roll. Application: Flexible packaging, specially designed for FFS machines. Properties: This grade have special functional surface so as to provide easy stacking of bags and restrict the slippage while stacking. Application: This film helps during palletizing, storage and stacking of bags in supermarket. Properties: This grade of film have special functional surface with controlled coefficient of friction. Application: This film helps stacking of bags to prevent from slippage in storage or palletization. Properties: This grade of film is a co-extruded polyester film having one side heat sealable layer. Application: This film is suitable for seal to itself as well as APET/CPET trays. Heat seal side also seals with PVDC. Properties: This grade of film is a co-extruded polyester film having both side heat sealable layer. Application: This film is suitable for Lap seal, flexible tube sealing & seal to itself as well as APET/CPET trays. Heat seal side also seals with PVDC. Properties: This grade is a white polyester film with excellent opacity. The film is one side chemically treated for better ink anchorage to solvent based inks. Application: This film is suitable for jobs where white backing is required like lids, labels etc.mostly surface printed jobs. Properties: This film is designed with a special surface suitable for UV off set sheet printing without any primer. Properties: It has Improved tensile strength and elongation properties. Application: This grade of film is used for Lidding application in Dairy products. Properties: This grade of film contain a special additive to give matt surface. Application: Thermal lamination, Label application, Conversion application & Board lamination. Properties: F-WAP is a white polyester film with excellent opacity. Film has a wide range of applications due to its excellent combination of optical, physical, mechanical and thermal properties. Properties: This grade is a white opaque polyester film with excellent opacity. The film is one side Acrylic coated for better ink anchorage to solvent based inks. Other side corona treated for improved bond with outer substrate. Properties: This grade is a white opaque polyester film with excellent opacity. The film is one side Acrylic coated for better ink anchorage to solvent based inks. Properties: This film is having all the desired properties as mentioned under F-WAP. The coating done on one side of the film provides excellent anchorage of metal, various inks & adhesives. Properties: This grade is a White polyester film with one side chemical coated other side corona treated. Properties: This film is having all the desired properties as mentioned under F-WAP. The primer coating done on one side of the film provides excellent anchorage to wide range of solvent and water based inks & adhesives hence increases the bond strength of laminate and the other side is plain film. Properties: F-WTS is a white opaque Twist wrapping polyester film.It is one side corona treated or both side untreated.This grade of polyester film is specially designed for twist wrap application. Properties: This is a transparent film with excellent clarity to give good gloss after metallization. The film is available in two types, viz., 1.Plain (both side untreated (UT)) 2.One side Corona treated film (CT), the metallization on the corona treated side gives good adhesion. Application: This grade of film is used in vacuum metallization & for further usage in flexible packaging as a barrier substrate. Properties: This film is available in one side corona treated or both side Untreated. Application: This grade of film is used for thermoforming application and as BOPA replacement. Properties: One side chemical coated matt film for improved ink adhesion & laminate bondstrength. Application: Board lamination, thermal lamination, label & conversion applications. Properties: This grade of film is a co-extruded polyester film having one side special functional layer which shows excellent adhesion to solvent inks and provide excellent metal adhesion. Application: This film is applicable for printing, lamination ,and metallization. Properties: One side chemical primer coated matt film for improved ink adhesion & laminate bond strength. Properties: This film is available in one side chemically coated and another side untreated. Application: This grade of film is suitable for hot fill application such as ketchup, mayonnaise etc. Properties: This film is having all the desired properties as mentioned under F-PAP. The primer coating done on one side of the film provides excellent anchorage to wide range of solvent and water based inks & adhesives hence increases the bond strength of laminate and the other side is plain polyester. Application: This grade of film is used for flexible packaging, specially Designed for FFS machines. Properties: This film is having all the desired properties as mentioned under F-PAP. The coating done on one side of the film provides excellent anchorage of metal, various inks & adhesives. Application: This grade of film is used for flexible packaging, metallizing and designed for FFS machines. The film is suitable for hot fill applications, pasteurization, sterilization or retort. Properties: This is similar to F-CHE film with corona treatment on the other side for improved bond strength with the other substrate. Application: Flexible Printing and packaging, metallizing and designed for FFS machines. The film is not recommended for hot fill applications, pasteurization, sterilization or retort. Properties: This film is having all the desired properties as mentioned under F-PAP. The primer coating clone on side to provide better anchorage to inks & adhesive improves metal adhesion and the other side corona treatment for improved bond strength with other substrate. Application: Flexible printing and packaging, specially Designed for FFS machines. The film used for Board lamination. Properties: This grade of film is used for flexible packaging, specially Designed for FFS machines. One side is primer coated for better ink anchorage with various inks and adhesinves.This film is similar to F-AUU film with corona treatment on the other side for improved bond strength with the outer substrate. Application: This grade of film is used for flexible packaging, specially Designed for FFS machines. The film is suitable for hot fill & pasteurization application. Properties: F-CLR-A is having high clarity & transparency with one side primer coated as F-AUU and F-CLR-A1 is the same film with other side corona. Application: Flexible Printing & Packaging. Suitable for hot fill & Pasteurization application. Properties: This grade of film having high clarity & transparency. The chemical coating done on one side of the film provides wide range of solvent and water based inks & adhesives & metal. The other side is plain / corona polyester. Application: Flexible Printing & Packaging, Metallizing and designed for FFS machines. This film is not recommended for hot fill applications Pasteurization, Sterilization and Retort. Properties: F-CLR-T is having high clarity & transparency with one side primer coated as F-ATT and F-CLR-T1 is the same film with other side corona. Application: Flexible Printing and Packaging and also applicable for Board Lamination. Properties: This film is having all the desired properties as mentioned under F-PAP. The coating done on one side of the film provides excellent bond with PE extrusion coating w/o using any primer/mica. Application: Film is designed for direct extruded Polyethylene adhesion without primer. Properties: This grade of films are low haze films with high clarity & transparency. They are available in corona treated or untreated form. This film is having all desired properties mentioned under F-PAP. Application: Printing & Lamination, Metallization, Embossing, Holograms. Properties: F-XLR-T is having ultra high clear appreance with one side primer coated as F-ATT and F-XLR-T1 is the same film with other side corona. Properties: F-XLR-A is having ultra high clear appearance with one side primer coated as F-AUU and F-XLR-A1 is the same film with other side corona. Properties: This grade of film having ultra high clear appearance. The chemical coating done on one side of the film provides wide range of solvent and water based inks & adhesives & metal. The other side is plain / corona polyester. Application: Flexible Printing & Packaging ,Metallizing and designed for FFS machines. This film is not recommended for hot fill applications Pasteurization, Sterilization and Retort. Properties: This grade of films are low haze films with highest clarity & transparency. They are available in corona treated or untreated form. This film is having all desired properties mentioned under F-PAP. Properties: This film is having all the desired properties as mentioned under F-YRN. The film is one side chemically Coated film. Application: This grade of film have improved shrinkage properties at elevated temperatures and is suitable for application where exposure with temperature while conversion as yarn. Properties: Specially designed with the feature that it is primer coated on one side and corona treated on other side with improved Shrinkage at elevated temperature. Properties: This film is designed with a special surface suitable for direct embossing without any offline coating and providing deep & sharp impression. The film is available with untreated and corona treated on other side. Application: Holographic Packaging, gift-wrap, embossing & hologram. Application: This grade of film is ideal as a transfer foil to transfer the design either on paper, textiles or plastics. Properties: This grade of film has high strength & durability, optical clarity and good thermal dimensional stability. Properties: This grade of film contain a special additive to give super matt effect. This grade of film having high haze & low gloss as a special optical properties. Properties: This film is having all the desired properties as mentioned under F-MSH. The coating done on one side of the film provides excellent anchorage of metal, various inks & adhesives. Properties: This grade of film is having Excellent clarity, transparency & thermal stability at elevated temperatures (190°C) makes this product ideal for metallic yarn processing. Because of excellent clarity & transparency, when this film is metallized & coated with colored laquer, it gives good luster to the end product. Application: Metallic yarn (can be directly used for plain yarn) & also can be used as synthetic jari (yarn) after metallization & lacquering. Properties: This grade of film is having excellent dielectric properties such as high breakdown voltage, low dielectric Loss factor & high electrical resistivity. Application: This grade of film is used in electrical insulation such as motor winding, cable over wraps, leatheroid lamination, electrical insulation tape. Properties: It has balance shrinkage. Application: This grade of film is used for thermal lamination such as document lamination. Properties: One side chemical coated matt film for improved ink adhesion & laminate bond strength. Application: Cooking Bags, Printing & Lamination. Properties: It has excellent tensile strength , elongation properties & surface roughness properties. Properties: This grade of film have special coated surface with low coefficient of friction. Application: Flexible packaging application/easy slip. Properties: Specially designed to meet Stringent requirement of adhesive coating. Properties: This is a transparent film with Excellent release properties. Application: This grade of film is used in fiberreinforced plastics and Glass reinforced plastics. Properties: This grade of polyester film is manufactured by using the raw material containing 25% -30% of post consumer recycled PET resin. It is available in 12,15,19,23,36 micron. Application: This film is applicable for printing and lamination. Properties: F-SLR is a transparent polyester film.The film is either both sides Untreated or one side Corona Treated with the other side Untreated. Application: This film grade is specially designed for silicon coating applications. Properties: F-CSR is transparent polyester film from our Asclepius branded PCR content products. The film has a special functional layer on one side and a standard untreated surface on the other side. Application: This film is applicable for Printing & Lamination, Metalization, Hot filling and Sterilization & Pasteurization.